R.I.P. IX are go – yay! I was worried because Readers Imbibing Peril Signup hadn’t appeared and I’m feeling kind of keen to read something creepy. But it is up now and I’m signing. Luckily we can’t sign in blood over teh interwebs. during the months of September & October. Stubb, who lead the boat that killed the first whale of their voyage, has peculiar and very specific ideas about how to harvest a dead whale. In addition to pickling the fins and sousing the flukes, he must have a steak from near the tail immediately, and if it’s rare, it’s overdone. He chastises the cook for this and then orders him to preach to the sharks in the water eating said whale too noisily. Fleece the cook puts up with this nonsense and duly lectures the sharks. You is sharks, sartin; but if you gobern de shark in you, why den you be angel; for all angel is not’ing more dan de shark well goberned. Fleece missed his calling as a preacher, I think, though the sharks paid him no mind. At any rate, it may seem absurd, when it’s taken me since the beginning of June to read this far, to imagine I can finish it in a weekend burst of reading, but shush, if I don’t believe it, I’ll stop again and I really would like to get through it. 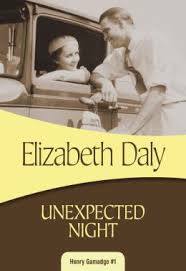 So, in a failed effort to finish another book during the Bout I focused on Unexpected Night by Elizabeth Daly, the first Henry Gamadge story. I found it while looking for books worried I was going to finish all the Christies. This now seems unlikely or at least not imminent. I’ve slowed down a lot on my Christie intake, but I’m glad I found Henry Gamadge if this one is anything to go by. Daly’s an American who wrote in the 40s and 50s. 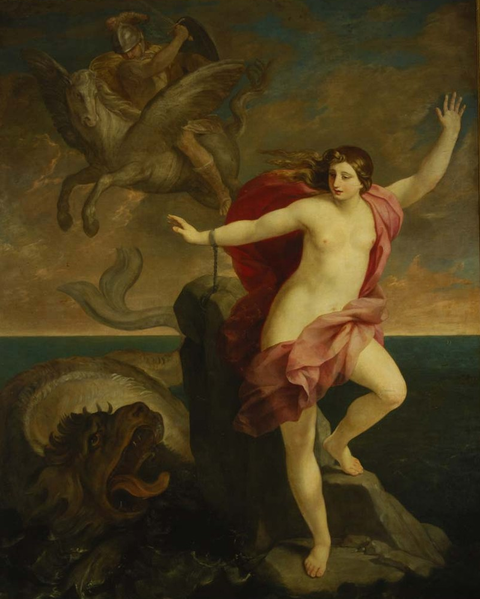 Supposedly one of Christie’s favorites. Gamadge is an expert in old books, inks and papers apparently although in this one he’s on vacation in Maine. He meets a family in which the young man is about to come of age and inherit a fortune. This is a great relief to the family because he has a terrible heart condition and could drop dead at any time. He has his will all made out and ready to sign… but then they find his body at the bottom of the cliff and the will is missing. Henry Gamadge is an appealing detective, not too eccentric. I sometimes think both with Gideon Fell and Gervase Fen that the personality of the sleuth overwhelms the story. The plot here seemed fair to me. Though I gotta admit the tendency to try to sweep aside certain behaviors as harmless eccentricities did get to me after a while. I thought afterward I ought to have guessed parts that I didn’t. Felony & Mayhem seem to be rereleasing all the Gamadge books. I’m sure I’ll read more of them. 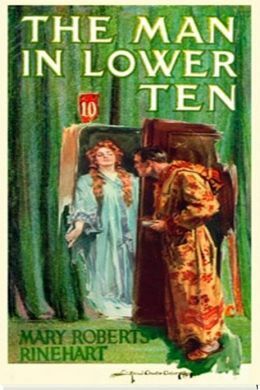 The Man in Lower Ten was recommended by an Edwardian book site (or perhaps just an Edwardian site) as a good introduction to Mary Roberts Rinehart, better than The Circular Staircase or The Bat. I don’t know if it was better, but it was a great intro to MRR. She’s a fun writer with a plot that moves along and characters that are interesting, also a fairly adorable romance. The man in lower ten – a berth on the Washington Flyer from Pittsburgh – is supposed to be attorney Lawrence Blakely returning with evidence in an important case to Washington, but someone gets there before him. Someone impossible to rouse. So Blakely opts for lower 9 instead and wakes to find the man in lower ten was murdered and his own clothes have been stolen. Not only that, but there is highly incriminating evidence pointing to him! Before the conductor and an enthusiastic amateur detective can make any headway there’s a terrible crash and few of the passengers are left alive. Does this get Blakely off the hook? Who was the man and who murdered him? Who stole Blakely’s clothes? And what happened to the evidence Blakely was supposed to be guarding? Rinehart’s lively tale answers all these questions and a host more. It’s almost hard to believe this was written in 1906, the pace is quick, the writing is lively, only the fact that when the electricity is out they only have matches to light their way really reminds you when the story is set. I’ll certainly be reading more of MRR, even if the others aren’t as good. And now, with one day and a couple hours left in BoB, I’m not sure what to read next. I won’t read two whole books. I forgot I was spending the better part of three days seeing an old friend, but that doesn’t mean I shouldn’t read something this last day, does it? I have been reading the book version of Charters & Caldicott which was based on the mystery series and not the other way around. I had been hoping to understand the motive of the murderer, but learned nothing more except Stella Bingham was very faithful to the series. The only problem I have is that she states they were retired colonial people who’d been stationed out east. Having seen now three Charters & Caldicott movies, there’s no evidence of this in any of them. They live in England, watch cricket and sometimes travel and stumble onto criminal enterprises. That third movie was Crook’s Tour a B-movie at best, in which C & C travel from Saudi Arabia to Iraq to Hungary at first simply on their way home, but later mistaken for spies. Crook’s Tour was made in 1941 and starred C & C. Caldicott falls for a dancing girl they refer to as La Thingummy. The movie is painfully bad at moments and yet, retains some charm. 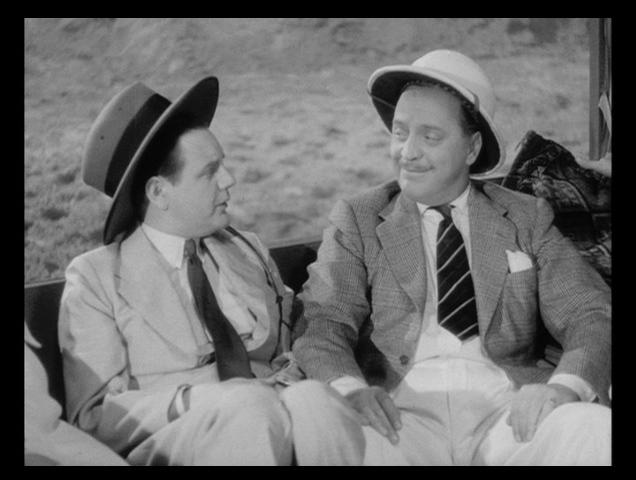 Overall, however, Charters and Caldicott work better as the comic relief in a suspense movie than they do as the main characters. Basil Radford and Naunton Wayne continued to play these characters or ones just like them with different names for the rest of the 40s, though I doubt I will seek out any more of them. I’ve finished the book (I had about 40 pages left) and do not think there will be a C & C Part 3, amusing though it all was. I have also started The Man in Lower Ten by Mary Roberts Rinehart. I’d previously only heard of The Bat and The Circular Staircase, but read an Edwardian blog entry that expressed a desire – if they could encounter Rinehart for the first time again, they would like to start with this book. Since it’s free and I am encountering MRR for the first time, I’m taking the Edwardian’s advice and starting here. It’s off to a good start with a great deal of confusion about who should be in which berth on the train, where did all Blakely’s belongings get to, whose belongings was he left with and who murdered the man in lower ten? That’s it for Monday Day 1 of Bout of Books. I actually finished this over a week ago and failed to write about it. I picked it up on a whim after reading about a hiker going over Baldpate mountain which is real and thinking Baldpate… Baldpate… where have I heard that before? 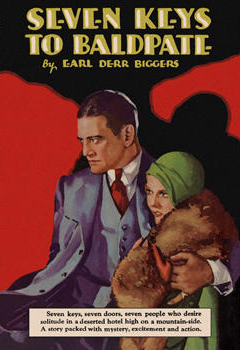 Well, it was part of the title of a mystery/thriller from 1913 called Seven Keys to Baldpate by Earl Derr Biggers, better remembered for Charlie Chan. If it is the same mountain, that’s the only real thing in the book. The inn and the towns mentioned do not exist. It is quite an amusing book and I would swear it was written 20 years later than it was, if I didn’t know. The breezy tone is very Thin Man-esque. I could totally see William Powell and Myrna Loy in this. They never did play these characters. The book was adapted into a movie 7 different times never with William Powell. It was also a play. Surprising how utterly forgotten it is given how popular it must’ve been. It’s somewhat old fashioned, and the story is fairly absurd, but it is also full of humor and the reader wants to find out what’s going on. Billy Magee, best selling author of fluff, has decided to spend the next couple months at Baldpate Inn, a summer resort abandoned in the winter, in order to write the Great American Novel and add some depth to his reputation. He arrives at the town at the base of the mountain and causes a flurry by demanding to be looked after in his seclusion. Instead of telling him to get stuffed, the caretaker helps him out and they head for the empty inn in the middle of the night. Why, thinks I, doesn’t he spend the night at the inn in town and go to the inn in the morning? But no, the man has no sense and apparently the winter isn’t so wintry and the mountain not so mountainous that climbing up it at night is impossible. They arrive and he gets settled, but it isn’t long before other people start showing up. The place is not so much abandoned as fraught with activity. There are fishy political types, mysterious dames, odd professors, and no one is giving a straight answer about who they are or why they’re there. It’s a book as light and unserious as the books Billy Magee writes and while I didn’t find it wholly satisfying, I was entertained and will probably look for more Earl Derr Biggers.